Cò bh’ ann an Richard Bingham agus carson a bha gràin aig Gàidheil na h-Alba air? Ma chuireas sibh ‘Richard Bingham’ ann an inneal-lorgaidh air an eadar-lìon, gheibh sibh a-mach gur e sin an t-ainm a bh’ air a’ Mhorair Lucan. Richard John Bingham. Sin am fear a theich ann an naoi ceud deug, seachdad ’s a ceithir (1974), às dèidh dha boireannach a mhurt agus a bhean a dhochann. Chan fhacas tuilleadh e le cinnt, ged a bha mòran ag ràdh gum fac’ iad e ann an Astràilia agus dùthchannan eile thall thairis. Tuigidh sibh nach e sin an Richard Bingham a tha mi a’ ciallachadh, ged nach can mi le cinnt nach robh an dithis càirdeach do chèile. Tha mis’ a’ smaoineachadh air an Richard Bingham a rugadh ann an còig ceud deug, fichead ’s a h-ochd (1528). ’S e Sasannach a bh’ ann, ach choisinn e a chliù, chanadh mòran fìor dhroch chliù, ann an Èirinn. Bha e gu mòr an sàs ann an ceannsachadh na h-Èireann nuair a bha Ealasaid na Banrigh ann an Lunnainn. Bha Bingham air a bhith a’ sabaid ann an grunn àiteachan air feadh na Roinn Eòrpa. Ann an còig ceud deug, ochdad ’s a ceithir (1584), chaidh a chur a dh’Èirinn mar riaghladair Chonnacht. Bha e air a dhèanamh na ridire ann am Baile Atha Cliath anns an dearbh bhliadhna. Cha robh cùisean sìtheil ann an Connacht, ge-tà. Bha ar-a-mach ann, leis na cinnidhean Gàidhealach a’ strì an aghaidh nan Sasannach. Bha Bingham an sàs gu mòr ann a bhith a’ ceannsachadh an ar-a-mach. Anns an t-Sultain còig ceud deug, ochdad ’s a h-ochd (1588), bha e fhathast na riaghladair. ’S ann an uair sin a sgap Cabhlach Mòr nan Spàinnteach a bh’ air a bhith a’ dèanamh air costa deas Shasainn. Chaidh na soithichean aca timcheall uisgeachan an iar Bhreatainn is na h-Èireann. Dh’òrdaich Bingham gum biodh a h-uile saighdear is maraiche Spàinnteach a nochdadh air cladach Chonnacht air a thoirt a Ghaillimh, agus gum biodh iad air an cùr gu bàs an sin. Chaidh grunn soithichean air na creagan agus thathar ag ràdh gun deach na ceudan de Spàinntich a thoirt a Ghaillimh, far an robh iad air an cur gu bàs. Rinn bràthair Richard, Seòras Bingham, an dearbh rud ann an Contae Shligeach far an robh e na shiorram. Bha adhbharan gu leòr aig na Spàinntich gràin a bhith aca air na Binghams. Lean an t-sabaid eadar na Gàidheil Èireannach, a bha a’ dìon an dùthcha, agus na Sasannaich, a bha ag amas air a gabhail thairis. Chaochail Richard Bingham mus robh Cath Chinn t-Saile ann – cath a thug an aon seòrsa buaidh air na Gàidheil Èireannach ’s a thug Blàr Chùil Lodair air na Gàidheil Albannach. 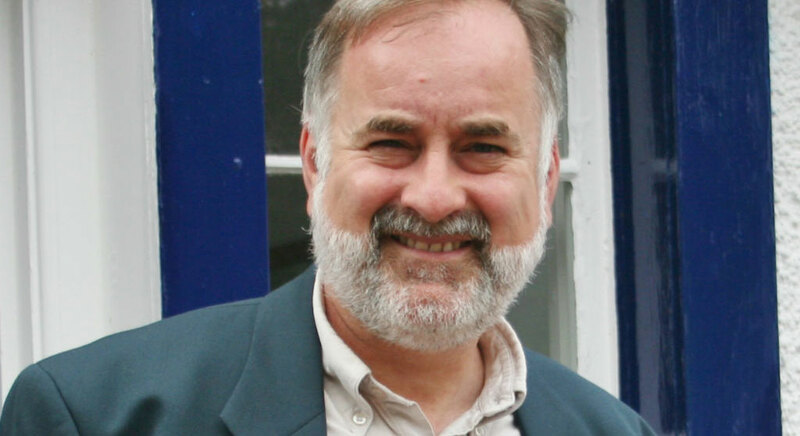 Ach bha Richard Bingham an sàs ann am blàr an aghaidh Gàidheil Albannach a dh’fhàg an t-uabhas dhiubh marbh. Chan e gun robh e a’ sabaid ann an Alba. Thachair am batail ann an Èirinn nuair a bha Bingham na riaghladair air Connacht ann an còig ceud deug, ochdad ’s a sia (1586). Thathar ag ràdh gun robh còrr is dà mhìle Albannach air am marbhadh air an aon latha – timcheall air mìle gu leth fear, agus mnathan is clann aig feadhainn aca. Innsidh mi tuilleadh dhuibh mun ghnothach anns an ath Litir. Faclan na Litreach: riaghladair: governor; Connacht: Connaught; ridire: knight (sir); Baile Atha Cliath: Dublin; Cath Chinn t-Saile: The Battle of Kinsale. Abairtean na Litreach: carson a bha gràin aig Gàidheil na h-Alba air? : why did the Scottish Gaels hate him? ; gheibh sibh a-mach gur e sin an t-ainm a bh’ air a’ Mhorair Lucan: you’ll find out that was Lord Lucan’s name; às dèidh dha boireannach a mhurt agus a bhean a dhochann: after he murdered a woman and bashed his wife; chan fhacas tuilleadh e le cinnt: he was never seen again with certainty; thall thairis: overseas; ged nach can mi le cinnt: although I won’t say with certainty; nach robh an dithis càirdeach do chèile:that the two men weren’t related to each other; choisinn e a chliù, chanadh mòran fìor dhroch chliù, ann an Èirinn:he gained his reputation, many would say a really bad reputation, in Ireland; ceannsachadh na h-Èireann nuair a bha Ealasaid na Banrigh: the subjugation of Ireland when Elizabeth was Queen; cha robh cùisean sìtheil: matters weren’t peaceful; bha ar-a-mach ann, leis na cinnidhean Gàidhealach a’ strì an aghaidh nan Sasannach: there was a rebellion, with the Gaelic clans struggling against the English; sgap Cabhlach Mòr nan Spàinnteach: the Spanish Armada dispersed; chaidh grunn soithichean air na creagan: several vessels were shipwrecked; thathar ag ràdh gun deach na ceudan de Spàinntich a thoirt a Ghaillimh: it’s said that hundreds of Spaniards were taken to Galway; ann an Contae Shligeach far an robh e na shiorram: in County Sligo where he was a sheriff; a dh’fhàg an t-uabhas dhiubh marbh:that left a large number of them dead; thathar ag ràdh gun robh còrr is dà mhìle Albannach air am marbhadh air an aon latha: it’s said that more than two thousand Scots were killed on the one day. Puing-chànain na Litreach: Àird na Riadh is given in anglicised form as Ardnarea and this incident is sometimes known as the ‘Massacre at Ardnarea’. An account of it is to be found in ‘Atlantic Gaels: Links between Donegal and the Hebrides’ by Aidan O’Hara and published by the Islands Books Trust. Given such a loss of life, it is slightly puzzling that it is not better known in Gaelic Scotland. If you have any particular knowledge of it, or know of old accounts that mention it, both Aidan and myself would like to hear from you. Gnàthas-cainnt na Litreach: gum biodh iad air an cùr gu bàs: that they would be put to death.